I don’t do top 10 lists often. I probably should to them more often, as if you’re a blogger you know that they tend to generate higher than average traffic, somehow either Google or more likely the average reader tends to like this kind of lists (and I must admit, I tend to click on other peoples “best of lists” as well), but I usually prefer to write about individual albums instead. That said, the idea for this particular blog post came along while doing some comparative listening for a future blog post on Schubert’s piano sonatas. I noticed I always keep going back to a certain number of pianists, that I love and respect, and that usually always have something to say. Obviously, this list is highly subjective. This is not supposed to be “Great pianists of the century” or Top 100 pianists of all times, you’ll find plenty of those on the internet already. So obviously, there will be great names missing, Schnabel, Arrau, Rubinstein, Brendel, Trifonov, etc. etc. etc. I’ll be listing them in alphabetical order, as there is absolutely no way I’ll try to rank them. Not very suprisingly, given that I’ve already listed him here for my all time favorite version of Grieg’s piano concerto, and have praised his recent Beethoven cycle with the Chamber orchestra of Europe. I’ve seen him live playing Beethoven’s concerti 2-4 in a row, without a conductor. An amazing experience. What I haven’t mentioned yet is that Andsnes has also recorded an excellent version of Rachmaninov’s piano concertos with Antonio Pappano, which I have yet to review. I guess that covers such a large range of the romantic piano concertos that it is pretty clear why I’m choosing him. Note I could have mentioned many other beautiful recordings, including solo piano or chamber music. Well I said I’m not going to rank the pianists, but Martha clearly makes it all the way to the top of the list. With her, you can really start at the beginning, with her legendary debut album following her winning the 1965 Warsaw Chopin competition. Or go to a very recent recording around 50 years later of Argerich playing Mozart’s concertos, as mentioned in My Must Have Mozart Albums. Or, for the sake of it, pretty much everything she has recorded in between. The only exception are some of the live recordings from her beloved Lugano festival, not all of them are necessarily must haves. But beyond that, you can be sure that her energy to enchant you! There are several “complete”, “best of” and “collection” boxes out there. All are highly recommended. Together with Benjamin Grosvenor and Igor Levit, among the youngest on this lists. I had to list him already for his outstanding Chopin Préludes, as reviewed previously. Another recording I can recommend is his Debussy and Szymanowksi album from 2012. I’ve seen him live play Chopin and Szymanowski, and I was really impressed by this timid young man and the intimacy of his playing. Somebody to watch. Playing on an “authentic” piano that sounds like the composer would have heard the piece is a relatively recent trend, as techniques in the reconstruction of the fortepiano, and alongside the specific playing skills for these instruments have evolved. I’ve already mentioned his beautiful version of Mendelssohn’s Lieder Ohne Worte (review of part I here, part II here). However, what I recommend most often is his outstanding complete Beethoven sonata cycle. Obviously this doesn’t replace the efforts on modern piano from Schnabel to today, but you really owe it to yourself to discover how Beethoven can sound on a piano of that time, exceptionally well played by this amazing artist. Why Gilels as a representative of the great pianists of the 1950s-70s, and not Rubinstein, or Richter, or Horowitz? Well, honestly, all of them would have deserved to be listed here. I’m just having a very special attraction to his Brahms concertos, be it with Jochum (reviewed here) or with Fritz Reiner and the CSO. Another album that is his outstanding recording of Grieg’s Lyric Pieces, an all time classic. I’ve just recently praised his latest album, Homages (review here), and given 5 stars to his Chopin Liszt Ravel album here. He was also nominated for the Gramophone awards for his album Dances in 2015, which he should have won (IMHO). He is probably the youngest of my list (note to self, do some fact checking), and among his few recordings, all are just amazing. This is one of the most outstanding talents I’m aware of. Regular readers of my blog know that I’ve praised this great young artist several times already. 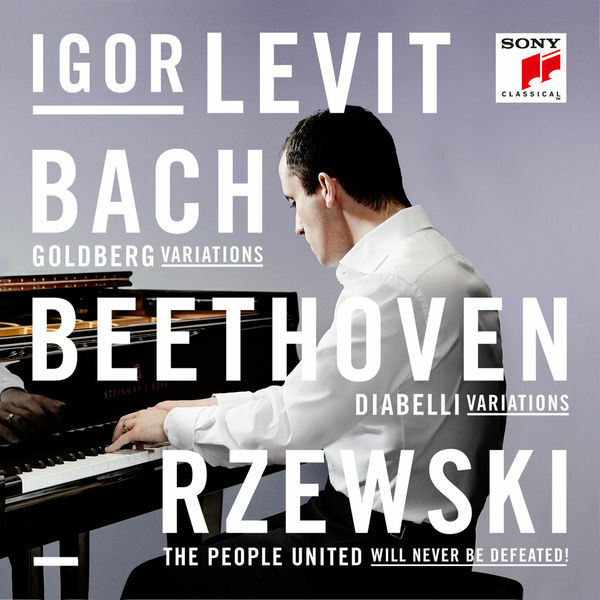 Most lately for his Gramophone Album of the Year: Bach / Beethoven /Rzewski, see here for my review, and here as well, as well as in my article about the top 5 classical albums of 2015. Back in 2015, his Bach Partitas album was also nominated by Gramophone for an Award in the Instrumental category. But there is one album I haven’t mentioned yet on my blog, which I also like very much, his debut on Sony. And no, he didn’t start easy, he tackled immediately Beethoven’s late piano sonatas. And how! This is not only technically impressive (the Hammerklavier always is) but such a high level of musicality. Again, watch this artist! Very simply, for the most beautiful Chopin Nocturne recording there is, see my review here. But basically, his other Chopin is also excellent. I actually don’t have any recording from other composers by him. I’ll investigate! No idea why I haven’t written more about Perahia. I’ve mentioned him as one of my favorite Goldberg players, and his Bach in general is excellent (will need to write about his new French suites at some point). But fundamentally, this is one of the pianists that really adds new insights to whatever he touches. Never flashy, never show-off, but always nuanced. Again, an artist I haven’t mentioned enough. A living legend to me, winner of the 1975 Chopin competition in Warsaw (he’s the third from this illustrous list, together with Argerich and Blechacz). Which album to mention? Usually he records relatively few albums, so you can pretty much trust them to be top notch in general. I’ve heard him play live couple of years ago, including the Barcarolle. He maybe the most intellectual pianist I’m aware of, and you can hear the cerebral approach he takes. That said, this isn’t to say that his music isn’t full of emotion. I could also have mentioned his Chopin piano concerto recordings, be it with the LA Phil or the Polish Festival orchestra, both are among the best there is for these works. So, here we go. What do you think? Do you agree, disagree? Did I miss anybody (I’m sure I did, with this artificial cut off of 10). Please let me know?